Q. How does Dig-In work? Q. Will adding Dig-In to my dog’s diet impact on his/her behaviour? Q. Will Dig-In be suitable for my puppy, mature or older pet? Q. How much do I need to feed my dog for it to get a healthy tummy? Q. Can I over-feed Dig-In to my dog and what might happen if I do? Q. I feed my dog more than once a day. Do I need to add the same amount of Dig-In for every meal? Q. I feed my dog the BARF diet. Will Dig-In work with the BARF diet? Q. My dog is on a weight reduction diet; will adding Dig-In help or hinder the weight loss process? Q. Does Dig-In contain any artificial colours, flavours, or preservatives? Q. Does Dig-In contain wheat, corn or any cereals? Q. Does Dig-In contain any dairy products? Q. Are all Dig-In ingredients human grade? Q. Does Dig-In contain any beef, lamb or pig meats or meat by-products? Q. Why do you add Fibre to the recipe? Q. My dog has been ill recently, should I add Dig-In to his/her diet now or should I wait until he/she is better? Q. My dog has diarrhoea (diarrhea). Can Dig-In Help? Q. My Dog is a fussy eater. Will Dig-In help my pet enjoy their food more? Q. What about postage? How much does it cost and how long does it take? Dig-in works by helping to correct the digestive processes through the use of specific food ingredients. Dig-in will also actively absorb mycotoxins that may have found their way into your pets stomach after your pet consumed “something” that he/she shouldn’t have eaten! The feeding instructions direct you to add 1 gram of Dig-In for each 1 kilogram of pet weight. A teaspoon holds approximately 4 grams of Dig-In, therefore if your pet weighs 10kg, you will need to add 2 ½ teaspoons to your pets diet each day. Easy! There is very little risk of overfeeding as Dig-In is basically a food product. So no need to worry if your dog can’t get enough of it! No. Dig-In is only required once a day. However, if you dog likes the extra flavour that Dig-In adds to his/her meals, you can split the amount required for your pet over every meal rather than a once a day. For example, if your dog weighs 8kg (which will require 2 teaspoons of Dig-In per day) and you feed him/her in the morning and evening with the rest of the family, you can add one teaspoon for each meal. As the amount of Dig-In added to each meal is less that 5% of the total diet, it will not add a large amount of calories to your pets meal. Therefore, it should have no impact on the weight loss process. However, some owners have found it gave their dog more energy to run around and burn off more calories! No, Dig-In is free of any cereal additives which have been implicated in many pet allergies. Only vegetable fibre is added to assist with the creation of a healthy gut environment. No dairy products or by-products are used in the formulation of Dig-In. Yes. All ingredients used in Dig-In are of the same quality that you would purchase for any other family member. We believe that this is the only way to be absolutely sure of the quality of our ingredients. After all, a dog is part of the family! Absolutely not. Dig-In does not contain (and will never contain!) any meat or by-products derived for beef, lamb or pigs. Dig-In is a precisely designed food which has a specific action on the digestive system of your pet. This action relies on the normalisation of gut function which assists in overcoming allergic outcomes. Therefore, it is important that we use the correct soluble and insoluble digest fibres and fibre blends that will promote the growth of the correct gut bacteria. The Fibre blend used will also allow for the correct water balance to stool bulk in the lower gut – significantly reducing the risk of any nasty accidents! 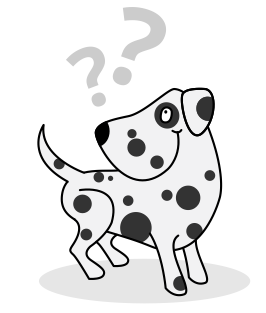 Doggie diarrhoea is also called “Watery stools” or “Loose poops”. As strange as it may seem, this has been a major area of dog food research for many years. In fact, WALTHAM Centre for Pet Nutrition based in the UK has published a 5 point grading scale for the quality of doggie doo doo’s. Their scale shows a range from 1 (hard, dry and crumbly faeces, Bullet Like – their words not mine!) to a score of 5 (Watery diarrhoea). A sudden case of dog diarrhoea can be a sign of a serious illness and can cause rapid dehydration in your pet. So a rapid onset should be treated seriously and you should go to see your vet. However, if your pet has been leaving soft, loose or watery “messages” for you to clean up, Dig-In will certainly help to make this job a great deal easier and less painful (Smelly). Dig-in has two key impacts on the digestive system of your pet to help overcome this problem. It will help change the digestive processes and assist in adding key beneficial fibres to his/her system. A dog that has a tummy ache will not feel like eating. So poor eating can be a sign of a general digestive issue. As humans, when we have an upset tummy, we can tell someone and get something to help. You dog cannot tell you specifically what is wrong. Therefore, our problem was to not only make sure that Dig-In had the desired effect on the digestive system but we also had to make it tasty enough for them to want to try it. The first step of getting well again is to eat good food. So with this in mind, when we formulated Dig-In, we ensured that it was designed to tempt fussy eaters. Postage Australia-wide is included (FREE) with any purchase. Your order will be posted within 3 business days and will travel via Australia Post which may take up to 10 business days.